A strong coffee would normally be on the agenda following a night of big beers and whiskey. But, for this collaborative quintet it was the starting point for an annual release. 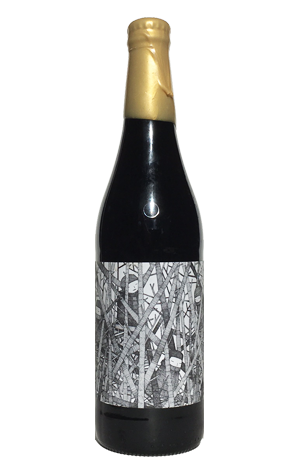 Forest For The Trees is the second bottled collaboration between good friends Mane Liquor and the Eagle Bay Brewing Co. In 2016, the congenial collaborators invited urban distillers Whipper Snapper and bespoke roasters Twin Peaks Coffee to contribute to the small batch dark beer too. Working at the picturesque brewery atop Cape Naturaliste, some of the imperial porter base was fermented in a Whipper Snapper Upshot Australian Bourbon style barrel while a specially selected blend of coffee from the Mogiana region of Brazil was added to the remainder. Six weeks later, the creatively estranged couple was reunited to form this indulgent treat. Vegetal coffee aromas mingle with vanilla and coconut from the oak barrel on a silky but surprisingly light imperial porter. The beautifully presented, wax dipped bottles feature the artwork of Kyle Hughes-Odgers, who also contributed to last year’s barrel aged collaboration, Black and Tannin. Given the number of collaborators increases with each annual release, speculation about a 2017 octet beer are plausible and, if the first two beers are anything to go by, seems destined to be immensely drinkable. Super Fresh Fridays - $15 growler fills every Friday!!! !